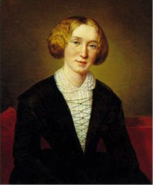 George Eliot was the pen name used by a female author whose real name was Mary Ann Evans. She wrote poetry but was more famous for classical novels that will forever have their place amongst the greats of English literature such as Middlemarch and The Mill on the Floss. She was most prolific during the mid- to late 19th century, producing seven novels between 1859 and 1876, and she wrote about real-life situations with great insight. It was uncommon for a female writer to be successful at that time, unless she were writing light romantic fiction, and Eliot took great pains to ensure that she would be taken seriously as a great author. Even though Middlemarch was written in 1872 it is still described by literary critics as “the greatest novel in the English language”. She was born Mary Ann Evans on the 22nd November 1819 in the west midlands town of Nuneaton, Warwickshire, the daughter of a local mill owner. As she grew up she was sometimes called Marian. She was a bright child and received her education at schools in Attleborough, Nuneaton and Coventry up to the age of sixteen. Beyond this she taught herself, primarily from the books that she had access to in the considerable library housed in Arbury Hall, which was where her father worked. Evans was probably set upon the path of great literature by the happy coincidence of moving to a larger city at the age of 21. In Coventry she met the philanthropist Charles Bray who, with his wife Cara, held salons at their “Rosehill” home where great liberal thinkers and authors such as Ralph Waldo Emerson, Harriet Martineau and Herbert Spencer would often meet to discuss their views. Eliot fell into this crowd, known as the “Rosehill Circle” and she soon began writing articles for publication in Bray’s newspaper the Coventry Herald and Observer. When she moved to London in 1850 she was submitting articles to a left-wing literary journal called The Westminster Review and she soon took over its editorship. This was a most unusual job for a woman but she made a success of it, while making the time for romantic attachments as well. She was never considered a great beauty but, at one time she was living in a kind of ménage a trois situation with a man and his wife. Following this she embarked on another relationship with literary critic George Henry Lewes, also a married man. They enjoyed a kind of open marriage for a number of years. She had, by now, set her sights on becoming a serious writer and adopted the pen name George Eliot to ensure that she would be noticed. Her first novel, Adam Bede, was published in 1859 and made her name. From then on she enjoyed a long period of success and even had royal approval. Queen Victoria was an avid reader of all her work. It is highly likely that her output of work would have been much greater but for failing health. She had suffered with kidney disease for many years and when she contracted a severe throat infection during the winter of 1880 she was unable to fight it off. 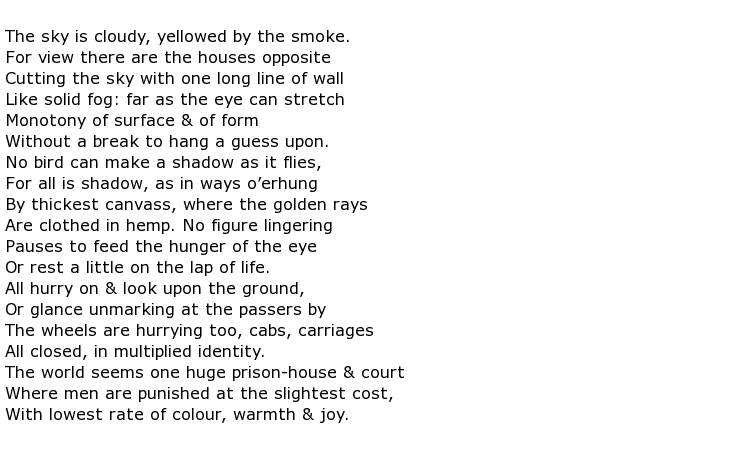 George Eliot died on the 22nd December 1880 at the age of 61.